While your children participate in a workshop or in a visit especially designed for them, treat yourself to a historical tour of the Château de Gizeux. This is a way for you to discover the castle at your leisure. Audioguides are available in French, English, Spanish and Italian. The path is the same as the guided tour. Come discover the castle, its story, and that of its inhabitants at your own pace, armed with a booklet. The path is the same as the guided tour's. Booklets are available in French, English, Spanish and Italian. If the tour is in French, you will be given a booklet available in English, Spanish and Italian. The tour might occassionaly be in English. 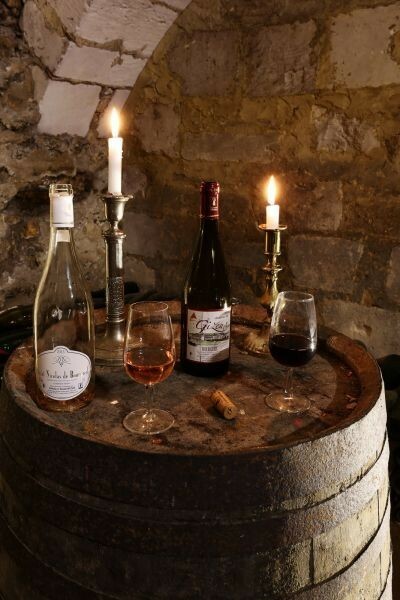 Enjoy the historical guided tour of the castle, followed by a degustation of Bourgueil wine offered in the cellars to make you discover our local terroir. If the tour is in French, you will be given a booklet available in English, Spanish and Italian. The tour might occasionaly be in English. Come discover the Château de Gizeux by night in the light of candles. The inhabitants welcome you in period costumes. The candlelight guided tour is in French; you will be given a booklet available in English, Spanish and Italian. The tour might occasionally be in English.